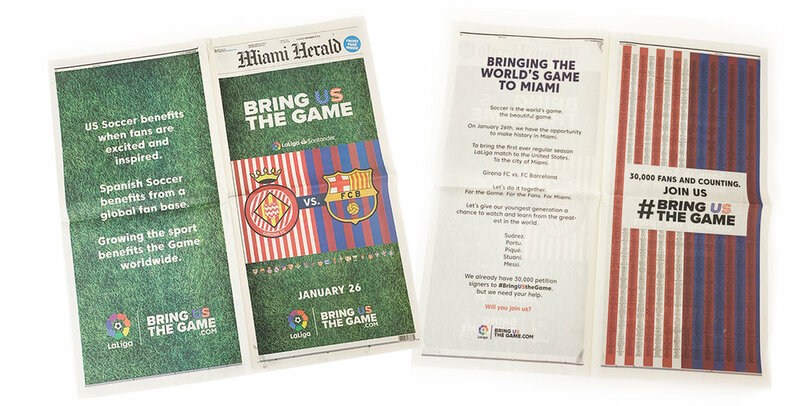 A La Liga lead campaign to bring a soccer game to the U.S.
Art Direction. Collaborative Branding + Logo Design. Miami Herald Newspaper Wrap. Social Media Designs. Paid Media Designs.